While contrasting one of the walls by painting it into a different colour is a very nice and modern idea, this is definitely not the best way to go with a corner wall mount. Both walls behind the corner TV mount with shelf should be of the same colour. One of the other walls can, of course, be different. If your room is small, you can add a couple of vertical lines in your doorway area — this will make the room seem both higher and larger. 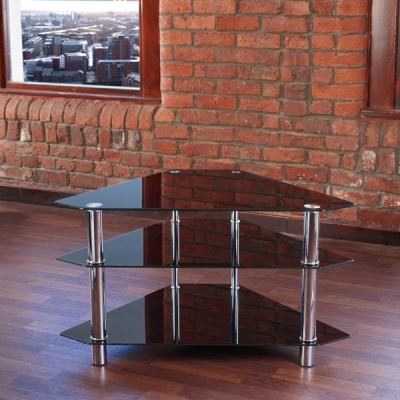 If the TV corner is somewhere next to a door, vertical lines will accessorise corner TV mount with shelf a bit. Another idea to make room interior memorable and contrasting is to go with an eye catching shelf. If, for example, your room has a lot of wooden furniture, a glass shelf will provide some contrasting relief (and vice versa). This is a strictly functional tip — do not place your TV in the direct sunlight. No doubt, any room corner is highlighted one way or another, but you should better choose the most shaded one. You should also try to keep your shelf clutter-free. This will not only make your corner TV mount with shelf more attractive visually, it will make an entire room seem tidier. And, of course, finding media remotes will be way easier if all of them are in one place. This is a very important piece of advice while shopping for any kind of furniture. While affordability is very important, quality should always come first. 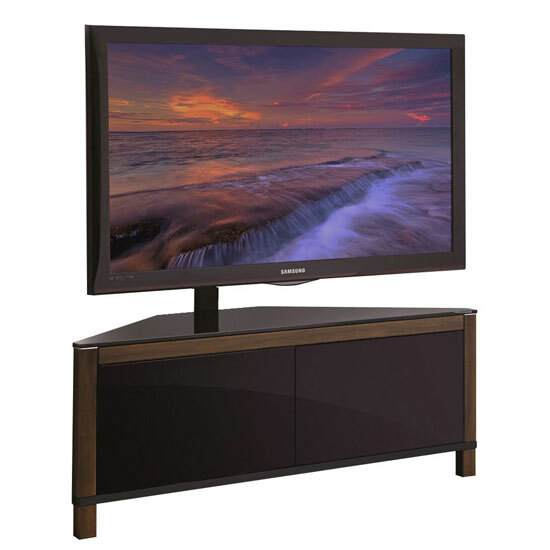 While looking for a high quality corner TV wall mount with shelf, take a look at Furniture in Fashion store. This is one of the most reputable stores in the UK, and this platform offers only highest quality solutions from leading international and local manufacturers. In addition, the company manages to keep prices competitive, which is an undeniable plus. All in all, the major reasons for shopping with this store is that it offers fine quality units, moderate prices, great customer service, and very short lead times. Moreover, there is a showroom in Farnworth, where you can examine any piece before you make your decision about the purchase.